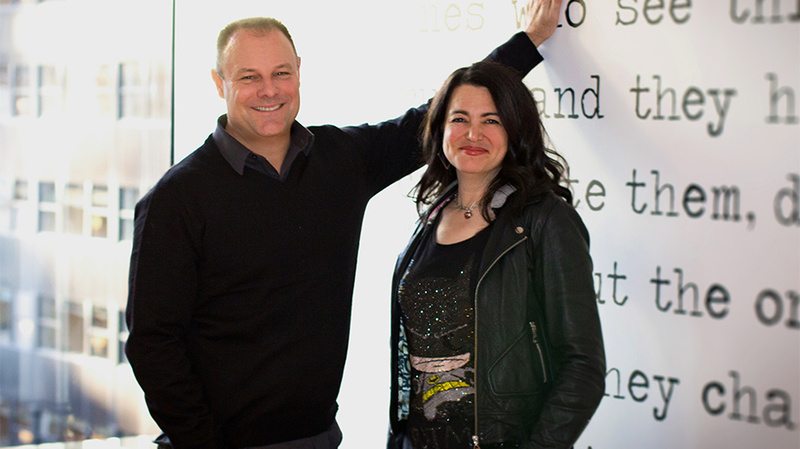 DDB New York has hired Lisa Topol and Derek Barnes as co-CCOs, effective in March. The duo will lead the agency’s creative department across a client roster that includes Unilever, Mars, PepsiCo, Henkel, Merck, Tribeca Enterprises and Cotton Inc while reporting to DDB North America CCO Ari Weiss. Topol and Barnes arrive from Grey New York, where they have served in executive creative director roles for over four years, working with clients including the NFL, Best Buy, TNT Networks and Bose. The duo first worked together while at W+K New York, after which Topol went on to JWT and TBWA\Chiat\Day, where she led Wheat Thins and Keep a Child Alive. In 2015, she was named to Business Insider’s list of the “30 Most creative women in advertising.” Barnes spent time with Anomaly, where he worked on Budweiser, before reuniting with Topol at Grey in 2013.